Halfway through hurricane season, Hawaii has already seen three major storms. It wasn’t long ago that residents were glued to their TVs and phones watching Hurricane Lane barrel toward the islands. And over the last weekend of August, Lane dumped more than 50 inches of rain across Hawaii Island. That’s three times the average rainfall residents on the leeward side see in a year. Hawaii Institute of the Pacific Agriculture (HIP Ag), a nonprofit that educates students on agriculture, sustainability, and healthy living, sits on the leeward side of the island in North Kohala. Lane brought mudslides and heavy rains to the organization, whose programs center around their land. “Lane brought a lot of rain to the Big Island,” says Lauren Ruotolo, director of development at HIP Ag. “Our farmers couldn’t work in those conditions and our farm deliveries were canceled. 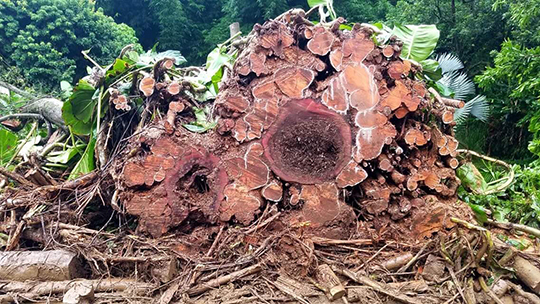 The local farmers market was also shut down, which is a large part of our income — about a quarter of our monthly sales.” Two major landslides affected the community: a massive banyan tree, which blocked HIP Ag’s Niuli’i gulch, and another just outside Kapaau town, which shut down the road with no alternate route out of town. 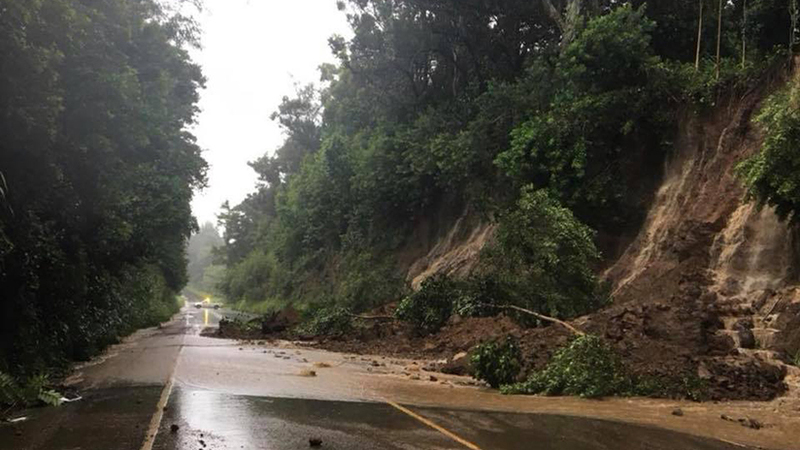 Lane may have gotten North Kohala down, but don’t count them out. “The North Kohala community is tight-knit, resilient, and kind,” says Ruotolo. 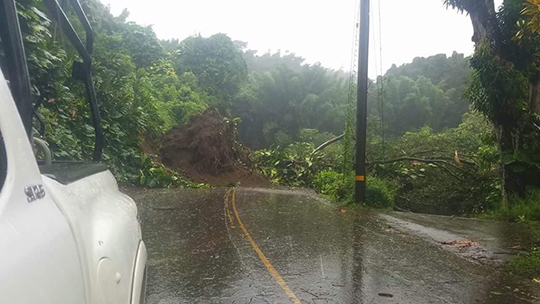 “I witnessed neighbors checking in on each other in preparation for the storm and after.” The landslides have been cleared, but it’s not the first time Mother Nature has taken a toll. Ruotolo says there’s been a lot of community dialogue around sustainable solutions since the storm hit. North Kohala residents are looking at ways to prevent future landslides. One possible solution, vetiver grass, may help control erosion on hillside roadways. Ruotolo says vetiver roots are as strong as steel, which holds the soil in place. It’s also noninvasive, grows quickly, and bioremediates the soil. About 50 community members have already come forward to express their interest in supporting the project. Learn more about HIP Ag’s fun, land-based programs around caring for plants, soil health, animal husbandry, and nutrition.